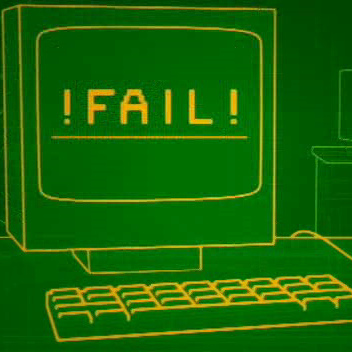 During the opening credits, the camera zooms in to an old CRT monitor with the word FAIL printed in big bold letters. In season 2, episode 1 of the British hit TV show “The IT Crowd” (“The Work Outing”) , you can clearly see the right half of a hand-drawn picture of the Flying Spaghetti Monster pasted on the fridge, next to an open source poster. A cult phenomenon spread quickly across the ‘Net when the Kansas School Board refused to acknowledge an alternative theory of their Intelligent Design curriculum proposed to them by one of their child students. 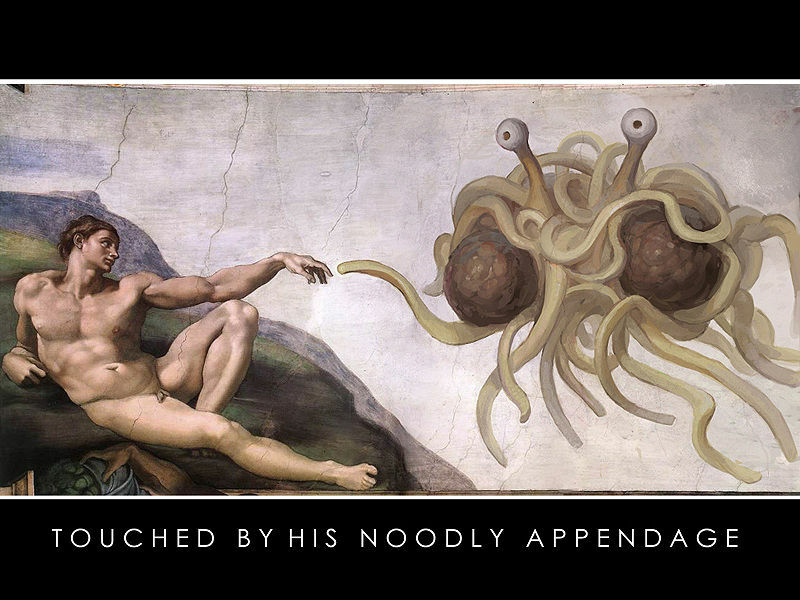 The boy proposed that the deity he believed in resembled a familiar pasta dish. Outraged by this notion, the school board sent the boy home. The parents, seeing no harm in what their child was doing, wrote a response in an open letter to the Kansas School Board. The news quickly spread, and pretty soon, the infamous Flying Spaghetti Monster found its way onto T-shirts, bumper stickers, and has amassed a large cult following.